FF-Winners.com Reveals Top 3 Steals for 2017 Fantasy Season! The preparation time has begun for teams around the NFL while fantasy football owners get set to get back to work as well. As we get set for the upcoming fantasy football season we will continue to take a look around the NFL after already taking a look at our Top 3 NFL Fantasy Busts for the 2017 NFL Season. Today we will turn our attention to our Top 3 NFL Fantasy Bargains for the 2017 NFL Season. 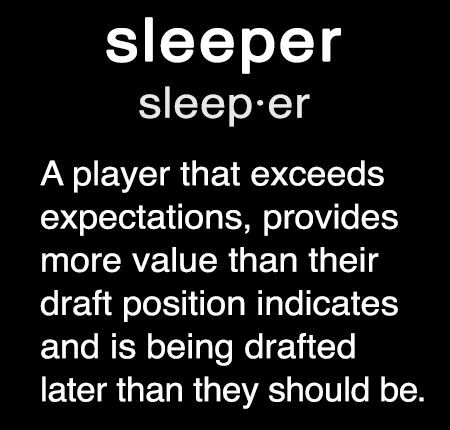 Now each season we see that one person that takes the big step forward while rewarding their fantasy football owner that took the risk on them while performing well above what is expected of them of a player picked in that round. One of those players last season was Mike Wallace for the Baltimore Ravens who many experts left off their draft board. While Wallace slowed down the stretch he still finished the season with 72 catches for 1,017 yards to go with four touchdowns. Along with Wallace we also saw Kirk Cousins jump into a top 5 fantasy quarterback while Michael Thomas and Travis Kelce became prime fantasy threats week in and out. With all that said here is our Top 3 NFL Fantasy Bargains for the 2017 NFL Season. After missing his entire rookie campaign in 2015, Perriman slowly became involved in the Ravens passing attack last season. Now as many voluntary workouts are in the books all the rave out of the Ravens camp is how good Perriman has looked this season in his route running, speed and his ability to catch everything in his way. Add that with the fact there is no more Steve Smith and Dennis Pitta for Joe Flacco to check down to someone will need to pick up this slack. While this might change with an addition of someone like Eric Decker or Jeremy Maclin, he currently is one of those players we will be looking at during our drafts. For some the rookie pool is one they love to tap into as many fall but for others they look to stay with an option that has put up the production. For us we love Kupp this season as he looks to become a key piece of a young Rams offense. Kupp brings speed, solid size and his ability to find the end zone to a Rams team that lacked a ton of play makers on offense. While the question mark will still be with this teams offense we expect the Rams will work Kupp into the mix while giving Jared Goff a weapon to throw to. Our biggest fantasy bargain of the year will come out west as we love the addition of Patterson to an already explosive Raiders offense. While Patterson had his ups and downs we expect the Raiders to use him as a more protypical wide receiver while teaming him up with Amari Cooper. While Patterson is a late tier draft pick we like him as a flyer and someone who could turn out a big time season for you. Other Top NFL Fantasy Bargains for the upcoming 2017 NFL Season could include Benjamin Watson, Tyrod Taylor and Paul Perkins.